As many Twitter users have noticed, Instagram photos are no longer showing up in their news feed or tweets. Contrary to rumor, this is not a bug. 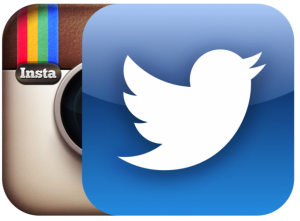 Instagram has disabled “Twitter Card functionality,” an app that allowed third-party images to appear on Twitter. This means that an Instagram photo will no longer show up on your Twitter news feed, Tweets or photo galleries. Tweeting Instagram photos is still possible, but now only a link to the photo is available, rather than the photo itself. Changes first began back in July, when Twitter stopped letting Instagram users “find friends via Twitter.” Recently, Twitter users thought there was a bug with Instagram photos because images posted to Twitter were being cropped weirdly or had a blank white space instead of the photo. Then yesterday, users discovered that posting an Instagram photo to Twitter resulted in a link that directs followers to the user’s Instagram page. The underlying cause of the change stems back to when Facebook purchased Instagram for $1 billion in early April. Keeping Instagram photos off Twitter could encourage more users to publish their pictures to Facebook. Another reason could be to draw more traffic from Twitter onto the newly-designed Instagram website. Instagram CEO Kevin Systrom said there are no plans to disable Instagram images on other sites.